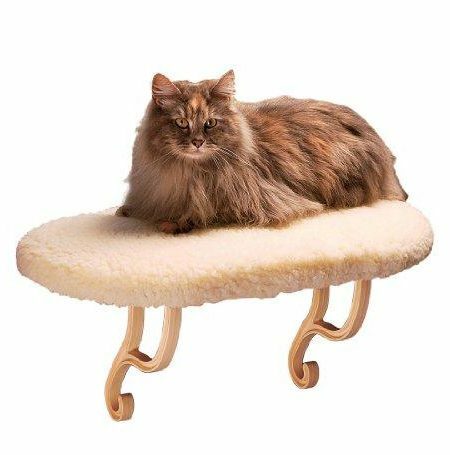 This perch size is 56*32 cm,and can bear about 45 pounds, which can fit most majority of cats. 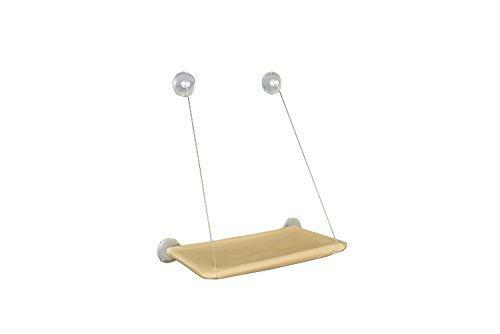 A cool thing to make your cats happy and you can buy several pieces to make cat climbing posts. Save more space for your house. 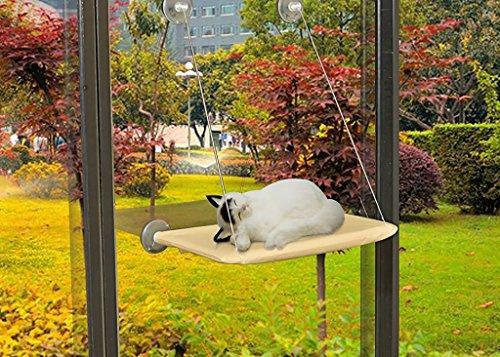 This cat window perch is designed for all seasons. In summer, flowers are in bloom and butterflies dance, but whether is very hot. 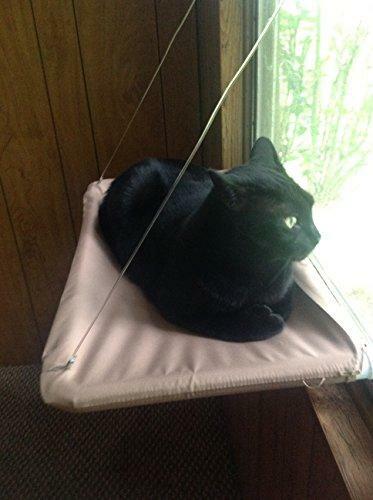 Why not find a shady spot to make a window perch for your cats? Thus they can enjoy the beautiful sceneries. In winter, cats will happily sit or lay on this shelf to watch it snowing. Or in a sunny afternoon, cats can enjoy the sunny sunshine over having a nap, no matter how cold outside. 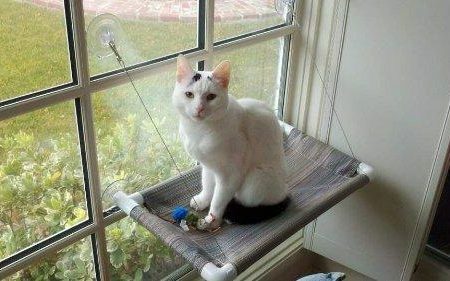 And in spring and autumn, you know every afternoon is cozy for sleeping, so why not use this bed to make your cats fun? By the way, this bed can save space for your house. Attention: before using the suction cups, please make sure the window clean and dry. If the suction cups are hard or can¡¯t be used very well, please put them into hot water for a while. 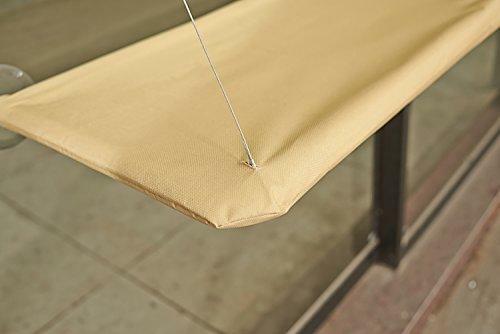 And when you plan to install this hammock, please try your best to make sure that the 4 suction cups is a square, as a square can bear weight more steadily. 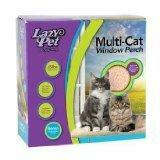 This is a very practical and creative product very great for multiple cat households! 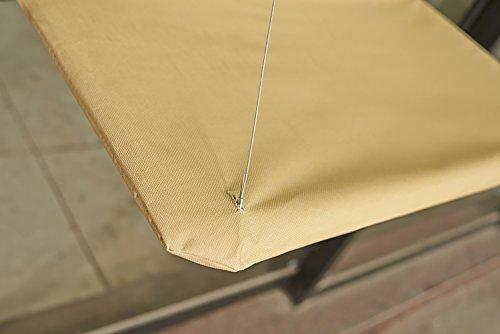 Easy to install and easy to tidy up, and the cover is machine washable. 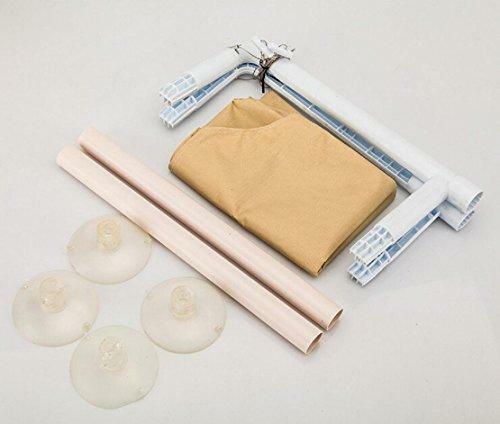 The suction cups can be used on clean and dry windows. Remember to make the four suction cups become a square, which will keep the shelf steadiest. If the suction cups can’t be used very well, please put them into hot water first. $41,99 (as of April 24, 2019, 20:32) $22,39 Buy it on Amazon!